Billie Breslin is a girl with a magical palate and a flair for cooking. This skill, however, goes unused as Billie moves from Santa Barbara to New York to work for the famed food magazine, Delicious. After a year at the magazine, the owner decides to fold the magazine and fire all of its employees except for one. Billie remains as the sole employee to ensure the Delicious Guarantee that all the printed recipes satisfy their customers. This requires a lot of phone calls and research. In the now abandoned mansion, Billie finally gains access to the library. A secret room that has been locked and sealed for decades. After researching a particular recipe, Billie stumbled upon a series of letters from the famed James Beard and a young girl named Lulu living in Indiana. Soon, Billie realizes that each letter holds a clue as to where the next letter would be filed in the library’s archives. Putting together the clues, Billie learns not only about Lulu’s life during World War II, but she gains some valuable insight into her own life as well. The narration by Julia Whelan was purely mesmerizing. The story, despite some flaws, eye-rolling moments and predictability, was well-written and well executed. The characters had a respectable depth and differentiation. I’m so used to supporting characters blending into each other, that is was refreshing to read a book where each side character stood apart. I’m not quite sure if I can credit that to the author or to the narrator though. Whelan’s impression and different voices were superb. The story did have some flaws. The whole ugly duckling into a beautiful swan scene with Billie was some over-the-top and unnecessary. A girl who never put any effort or thought into how she looked, ate bad take-out Chinese food each night and never exercised ends up a body of a model and a hidden flair for putting outfits together. I also didn’t understand why someone with a deep-rooted avoidance of cooking, to the point of it inducing panic attacks, would want to work at a food magazine where cooking takes places around the clock. The storyline with her sister was predictable from the first email as was the eventual love story. All that aside, I really did enjoy the story. I LOVED the library scavenger hunt. It was so clever the librarian, Birdie, hid the letters and the clues that Billie had to look for to find the next letter. I loved reading about Lulu’s childhood with her insecurities and uncertainties, all during World War II. Reichl definitely did her research and presented a very unique and personal take on the war from a small-town outlook. Reichl is known as a food writer, and it’s clearly evident how skilled she is when she wrote about the kitchens, the cooking and the food. 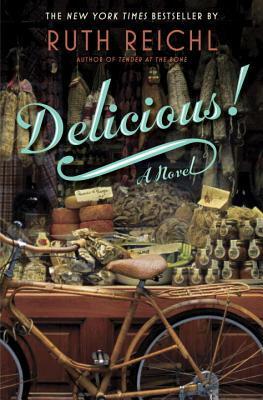 I was craving Italian food non-stop when listening to this book. It’s definitely a good choice for a foodie. 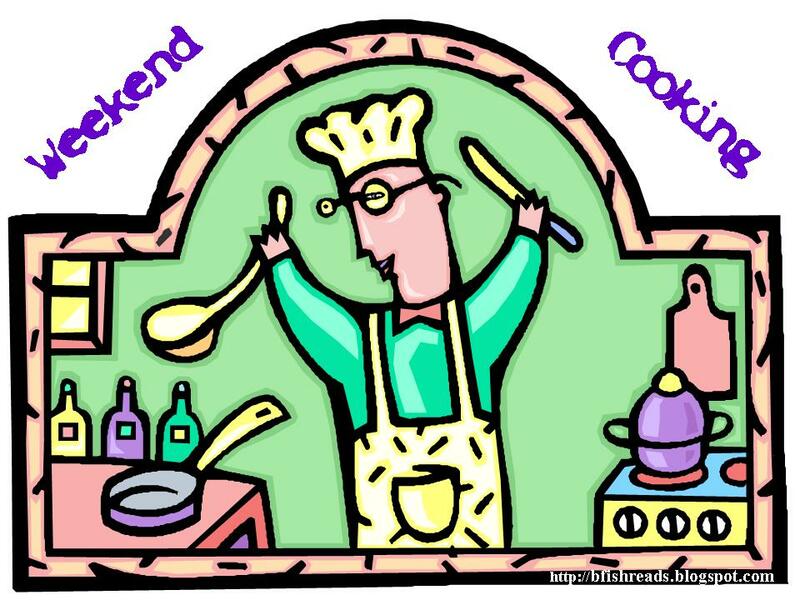 Weekend Cooking is open to anyone who has any kind of food-related post to share: Book reviews (novel, nonfiction), cookbook reviews, movie reviews, recipes, random thoughts, gadgets, quotations, photographs, restaurant reviews, travel information, or fun food facts. If your post is even vaguely foodie, feel free to grab the button and link up anytime over the weekend. You do not have to post on the weekend. Please link to your specific post, not your blog’s home page. 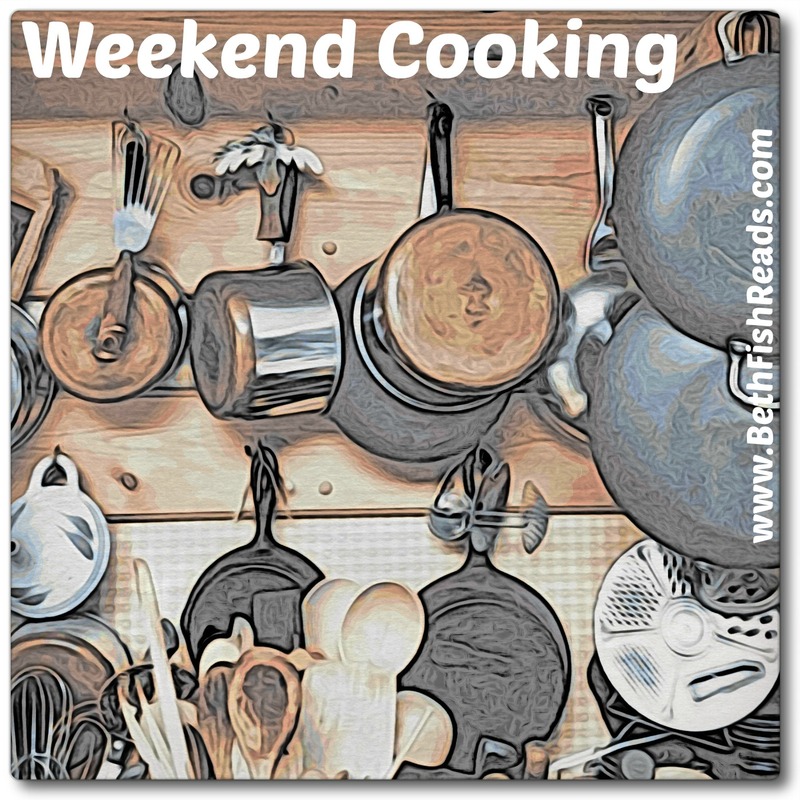 The post: Weekend Cooking – Book Review: Delicious by Ruth Reichl appeared first on The Novel World. This is the sequel to Lunch in Paris which I absolutely adored. Its one of my favorite French memoirs. The sequel finds us in a small Provencal town of Céreste with Elizabeth, Gwendal and their newest addition to the family, baby Alexandre. What I appreciated the most in this book was Elizabeth’s insightful views on parenting and the difficulties of parenting that no one ever wants to talk about. She spent a good portion talking about her difficulties bonding with her son. I think its something all new parents go through at some point of the early years. Although Bard has lived in France for 10 years, she still feels like an outsider, always learning and growing. Although, as a side-effect, she lives inbetween worlds. Neither fully at home in France nor in the US. Her observations are poignant, and her chapters are short and to the point. She doesn’t dwell too long on any one topic and at times it seems like the chapters are lifted directly from a journal she kept. What I liked about the book is the small town they moved to. Céreste is incredibly small, and hardly even shows up in the guide books. Although it’s now found a place on the map with the emergence of Elizabeth’s and Gwendal’s ice cream shop, Scaramouche, in the town square. I’ve always loved Provence. When I think about my honeymoon, I think most about my time in Arles, not Paris. Surprise, surprise. I like the small glimpses into the casual everyday lifestyle of the country, rather than the generic generalizations of big-city living. I sort of wish I reread Lunch in Paris before picking up this book, because I feel like Elizabeth’s voice as a narrator has grown and matured in the years between the books. At some point between books, Bard also wrote a cookbook? She makes a slight mention of it in one of the chapters, although I haven’t come across any cookbooks penned by the author. Unless she meant the recipes in these books. These wonderful sounding recipes that make your mouth drool with hunger and anticipation. 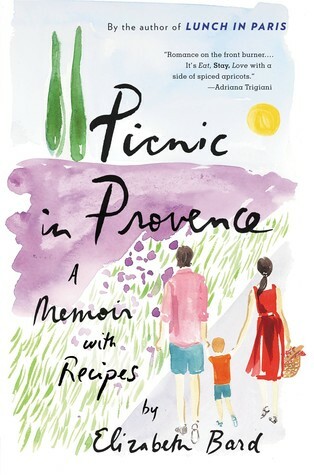 One thing that I’ve always loved about Bard’s recipes is that she provides a mix of recipes from her life in the states and her life in France. Each recipe has a special story and place in her heart. It makes me want to jot down little stories that go with some of my family’s favorite meals and kitchen concoctions. Sadly, with the book having a large number of holds on it at the library, I couldn’t keep it for as long as I would have liked. I didn’t get a chance to make any of the recipes in this book, although reading it did inspire me to pick up some new-to-me ingredients in the grocery store and try to create my own recipes for dinners. Most of which were semi-flops, so nothing worth reposting, unless you want a what-not-to-cook guide. The Egg Cookbook is a wonderful guide with dozens of recipes covering topics from quick and easy eggs (scrambled, poached, etc) to sauces (hollandaise) and appetizers and snacks (grilled egg stuffed mushrooms anybody?). Prior to getting my hands on this book, my egg expertise consisted of simple scrambled eggs and poached eggs. This book helped add many new recipes to my kitchen. It’s particularly helpful with a toddler on board, who loves eggs, but gets bored with the same meal. He is human afterall. The book is divided into 2 parts Part 1: Understanding Eggs discusses the nature of eggs, basic cooking and preparation tips. There is a lot of time dedicated to raising chickens, which will be helpful as that is quickly becoming a growing pastime. A friend of mine in Portland had chickens in her backyard and often raved about the eggs they laid. Part 2 covers a wide range of recipes. There is a nice selection of vegetarian and paleo-recipes, so no rock has been left unturned. Everyone will find at least one recipe that meets their needs. Sadly, I think this book is only available as an ebook right now. But it is incredibly easy to navigate, with quick links on the sidebar to take you exactly where you want to go. I highly recommend this book for anyone feels like they want to expand their skills from the basic scrambled eggs. Former picky eater, and now foodie/chef Stephanie Lucianovic takes a humorous and in-depth look at why and how picky eaters are picky eaters. Part memoir, part science and part humor is how she makes her point that picky eaters aren’t just fussy, but have valid medical, psychological and physical reasons for their tastes and reactions to specific foods. This is a book that picky eaters and foodies can associate with. Although it is chock-full of research, and anecdotes, there isn’t much in the way of advice other than “try new food” and “don’t push foods onto kids, they’ll just hate them all the more.” She makes a good point that kids today are exposed to a wider variety of foods via farmer’s market not to mention the super yummy creations of Ella’s Kitchen for tiny tots. We are all picky eaters in our way. As much as I love cinnamon buns, and crave them on a regular basis, I avoid eating them because I can’t stand the sticky sauce that is poured over it, same goes for most drenched finger foods (ie ribs). Too messy = not for me. My husband can’t stand anything pickled (cucumbers, pickles, etc). We love food, love to cook and consider ourselves foodie-wannabes, but we still have our hang-ups. Everyone does! As long as it doesn’t get in the way of your health, then its really no big deal is mine and the author’s stance. So, what food have you avoided recently? To say that I was disappointed with this book would be a major understatement. I found this book to be mostly irrelevant although a few sections did provide a few key ideas for me. Although the title states it’s a how to on cooking economically, don’t think of this as a place to go for cost-cutting tips. On the contrary, much of Adler’s advice is towards high quality foods that are often well above an average person’s grocery budget. By economy, she means not wasting any food that enters the home. This includes onion peels. By economy, Adler means making the most of every single food item that you buy. Ok, so this something that I am interested in learning about. The chapters discussed various aspects of cooking, from boiling veggies, to cooking with fish, meats and desserts. There is also a pretty lengthy section on cooking with beans and grains that I found to be interesting. The problem for me was that I couldn’t find anything new of inspiring in this book. There was nothing written in this book that I hadn’t read on some random food blog, or Martha Stewart magazine in the past 2 years. It’s a plus that all this information is in one places, but she mostly just touches upon a few narrow ideas rather than provide any tips that I can put into practice. The only good resource I got from this book is to cook all the vegetables I buy at the farmer’s market in one day, and then mix them into meals throughout the week. Although a very good idea, I really wish I hadn’t paid $15 for it. I also appreciated her devotion to the idea of simple cooking. A sumptuous and filling meal does not have to be a big, elaborate ordeal. I like how she simplifies the meals which in turn simplifies the art of cooking. The other irksome aspect of this book is that Adler is at times preachy and bossy. Sentences like “An omelet is the egg’s comeuppance”, “children must shell peas” and “you must make rice pudding with leftover rice” were scattered throughout the book and felt very strict and to over the top for me. Oh, and her love of salt. Good grief. The amount of salt she was adding to every single item of food was giving me heart palpitations. This book is really more of a love letter to the philosophy of cooking, not so much a practical how-to-guide. Adler is gifted with her writing style, although some parts ran on for too long, and some chapters ended too soon (the chapter on canning. I wish she had provided more examples and advice on that one). I had high hopes for this book, but it really wasn’t worth the investment for me. I’m always on the lookout for local Bay Are & Eco-Friendly businesses, particularly for kitchen ware. Bay Area & Eco-Friendly, kind of go hand-in-hand, which is why coming across this article about an East Bay Company called CaliBowl was very uplifting. Calibowl is bringing manufacturing jobs back to the US, primarily to the Bay Area. This will be a great boost to the local economy, and as an added perk, the product itself is really spiffy. Patent pending lip around the top of the bowl is designed at an angle which pushes food onto your utensil avoiding any spillage and overflows. Made of Polypropylene, a plastic polymer that is exceptionally durable. On Thursday, I was very lucky to be able to see Donia Bijan at the Redwood City Public Library. I missed her book tour last fall when Maman’s Homesick Pie was first released. I was glad to get another chance. Maman’s Homesick Pie is part memoir, part Persian/French cookbook and partly an ode to her ever supportive and loving mother. Since there are so few memoirs of Armenians who have left Iran for California, I try to grab as many Persian memoirs in the field as I can. Last night was a special treat, because Donia wasn’t there to talk about her book. She was there to discuss the Persian New Year of Norouz and explain how it is celebrated. She went over the Haft-seen (the table display of seven items that begin with the letter S), the big picnic held on the 13th day of the new year, and of course the meals. Donia discussed stories of her family, her childhood, and her mother, touching lightly upon the topics in the book, but mostly discussing new stories. The good news is that she is currently working on her next book, but the sad news is that I didn’t get a chance to ask her if it was another memoir or if it would be a cookbook, because I’d love to have either. Her recipes are the same ones that my mom makes, but are also the ones that I can never replicate because the instructions just don’t carry over well. I can also happily say that Donia provided all of my favorite Persian cookies as a gift for the audience. I believe she made the cookies herself. =) Food + Books = Awesome. I recently watched a documentary called Forks Over Knives, about the diets of Americans versus Asian countries. The main premise of the documentary is that by altering our diet from meat-based to plant-based, we can not only lose weight, but also decrease the number of medications, prevent disease and cancers, improve our health without medical intervention. I found this documentary to be very insightful, particularly in regards to how modern medicine and doctors neglect to consider food and eating habits as a potential source of illness and cure for various symptoms. There is a lot of scientific evidence and interviews with doctors from various fields in the documentary to provide substance and validity to the facts present. There are also a series of interviews with individuals who have reverses heart disease and ailments with dietary alterations. The part of the documentary that stuck out to me was the section about dairy. The higher the calcium consumption, the higher the chances for osteoperosis. What I also liked was that this documentary didn’t use any fear-mongering to get its point across. I hate when documentaries do that, it takes away from the message. This documentary was balanced, although I wish they would discuss how exercise helped increase the health of the people interviewed, and I also wish they discussed the monetary aspect of poor nutrition v. healthy nutrition. I mean, if you really want to change the mind of the American public, you have to consider the wallet. Although my husband and I have already drastically changed our diet from Kraft Mac & Cheese to properly prepared meals, we are in the infant stages of a new chapter in our foodie lives. Over the past month or so, we’ve been dipping our toes into the Vegan/Vegetarian pool. I’ve been incorporating more tofu into our meals. We eat a meat-based dinner 3-4 times a week, and its usually just baked chicken breast with a side of brown rice and steamed broccoli. Its been a real challenge trying to find vegetarian recipes that work for us and our schedule. You’d think cutting out meat would make cooking easier, but that’s not the case with us. Most vegan recipes are stir-fry dishes, which isn’t all that healthy since you’re basically deep-frying tofu. Pasta dishes are boring and we don’t have the time to sit down to make stews or curries. Still, we order the vegetarian dish when we eat out, and try to do what we can at home. I haven’t noticed any drastic changes in our lives as a result, but it’s probably too early to tell. Although I started us on the vegetarian path because I had read one too many articles about livestock being mistreated, Forks Over Knives helped me reaffirm my desire to cut meat out of my diet for reasons other than the dubious treatment of chickens, pigs and cows. Fans of Michael Pollen with appreciate this documentary and I hope will feel inspired to make simple diet changes as a result. Whisk the reserved 3 tablespoons pineapple juice, vinegar, soy sauce, ketchup and sugar in a small bowl until smooth. Place tofu in a medium bowl; toss with 2 tablespoons of the sauce. Let marinate for 5 minutes. Add cornstarch to the remaining sauce and whisk until smooth.